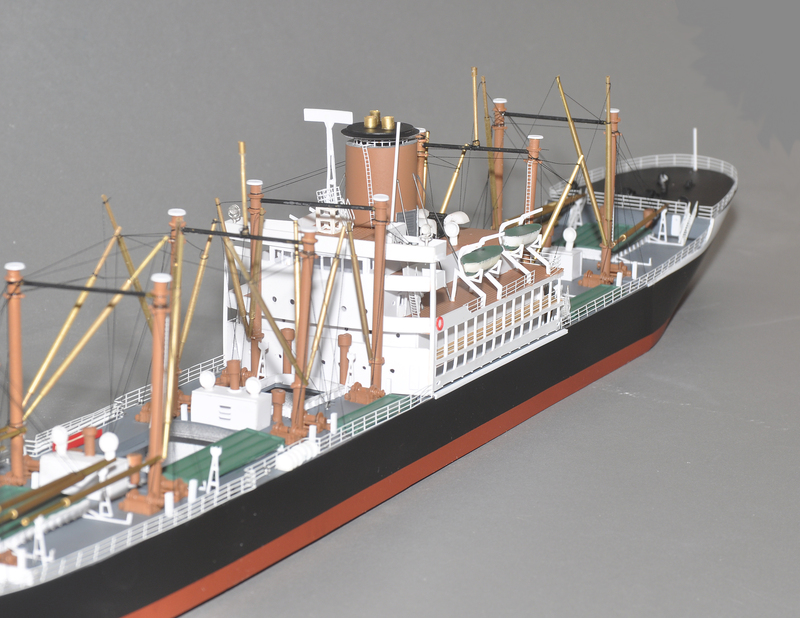 The Beavercove and her three sisters were built in 1947 for the Canadian Pacific company by the British Admiralty to replace four freighters requisitioned and sunk during WWII. 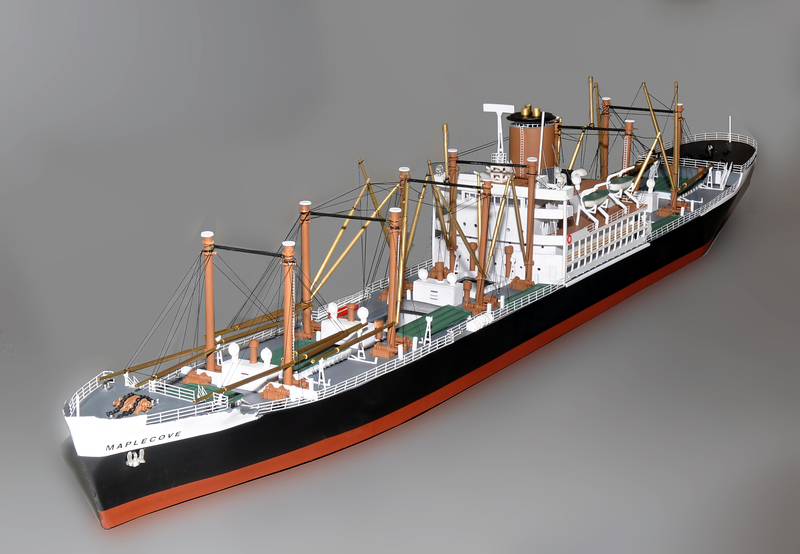 These were 499′ in overall length and 60′ in beam, displaced about 20,000 tons, and steamed at about 20 knots. They accommodated 20 first-class passengers in large cabins on the promenade deck, and offered fine meals in the restaurant. 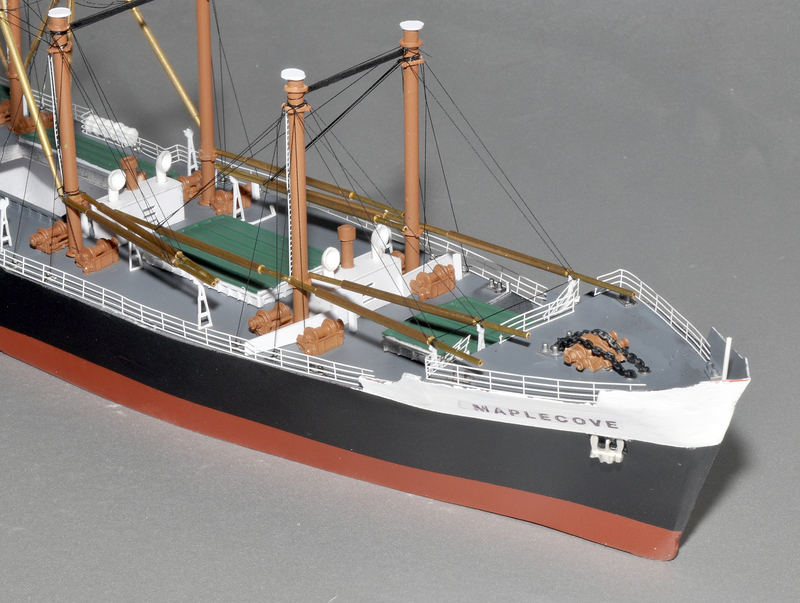 Initially serving the South America to England route, the Beavercove was renamed the Maplecove when transferred to Pacific Ocean service, then renamed back to Beavercove when transferred back to the Atlantic. They sailed as liners into the early 1970s, when they were sold for secondary routes and eventually broken up. Correctly dimension ringed posts (12) and booms (30). Custom made cowl ventilators, boom rests, 22 winches, winch stands, davits. A/C units, stack, accommodation ladders, and much more. Details such as ventilation grilles in the mast houses, fire hose troughs, guides for the hatch planks, and doors than can be positioned throughout the ship. Bridge than can be detailed on the interior as desired. These are special order ships. Allow one-month for a built-up model, and about two weeks for kits. 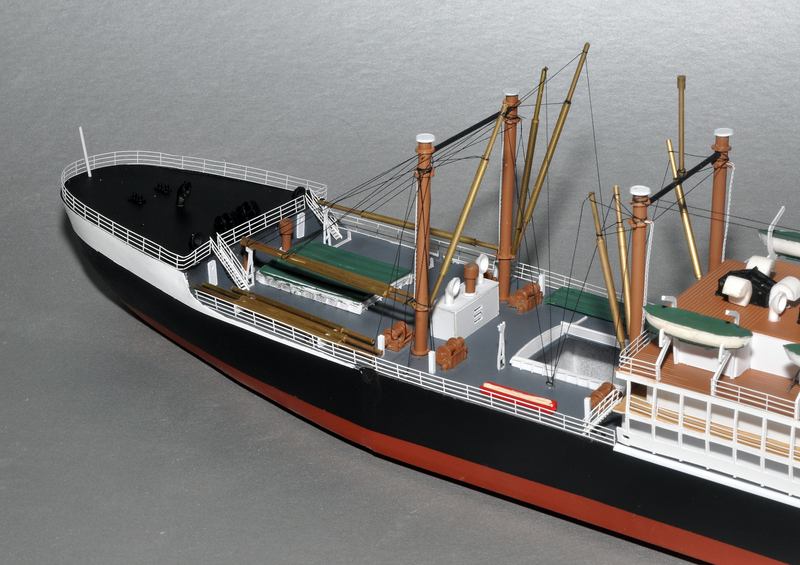 The kits are for experienced marine modelers who do not need step-by-step instructions. The built-up model is USD $4,000. 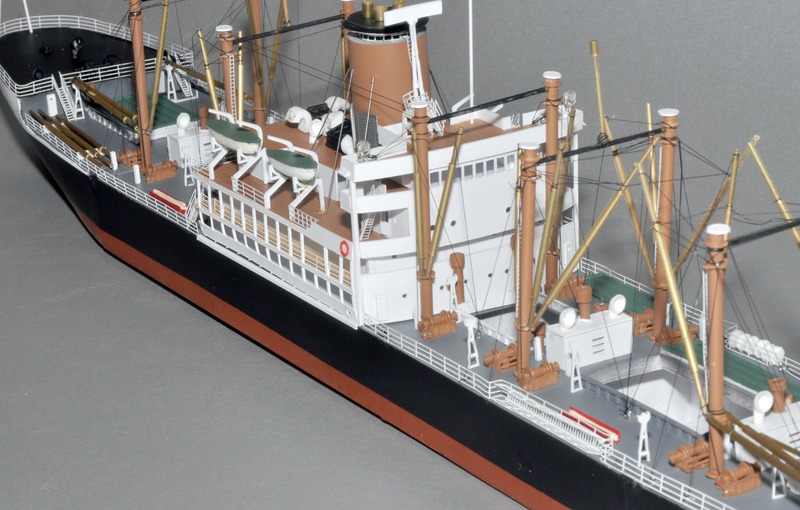 Kits are $565 in N and Z, as there is a tremendous amount of styrene and brass for each kit. For brass posts and telescoping booms, add $35 to kit prices. These are the culmination of eight years of work to achieve this level of accuracy and detail.